Managing customer experience should also be a growing priority for B2B firms, says a Samsung executive. A central focus of enterprise and industrial IoT projects has long been improving efficiency. As B2B-driven IoT projects mature, however, the importance of customer experience is coming into focus for enterprise companies, said Ed Abrams, vice president, enterprise IoT at Samsung Electronics America in an interview following his keynote address at the Internet of Things Applications show in Santa Clara. In the following Q&A, Abrams provides several examples of enterprise IoT projects that blur the lines between the B2B and B2C domains. He also reflects on advances in the brick-and-mortar retail market, manufacturing and healthcare, and reflects on what 2018 could have in store for the Internet of Things. What is new at Samsung that you are excited about? Abrams: Samsung has brought to market our integrated cloud solution, the Samsung SmartThings cloud. The focus of that to start is going to be on delivering consumer experiences through things like the Family Hub refrigerator and smart technologies in the home. But it is also going to move very quickly into the enterprise space. You will be able to take the consumer experience and marry it with the business or professional experience in industries like healthcare or insurance. We will be able to take a business-to-business-to-consumer set of solutions to market. Could you cite some examples of B2B and B2C convergence? Abrams: In healthcare, for instance, this could be for eldercare, where we can give patients a superior living experience. We could have things like pathway lighting, motion sensors and technology that make for a better-curated personal experience. We can also help connect patients to physicians or healthcare administrators so they are getting real-time data. We can help them know the answers to questions like: Are they where they are supposed to be? Is there anything going on in a room that is odd? That could be, for instance, panicked searching, which could be an indication of Alzheimer’s. Another area where we are making big advances in the home insurance space where, much like you saw three or four years ago with telematics for automotive and reduced insurance premiums, we are now working with insurers to accomplish the same thing for the home. This will be pure opt-in by the way. Imagine that you have your smart home devices and you have an IoT-enabled water-main shutoff valve. Insurers will be able to say to you: “If you give me access to that valve, I’ll reduce your insurance premium.” Where I lose money as an insurer is fire, theft and water. If I can remote in and shut off a water main if there is a leak detected and you haven’t responded in two minutes, I can shut off your water main and save us both thousands of dollars in damage and cost. Our work in the electronic logging device (ELD) space is another great example of what we are doing. A U.S. government mandate requires drivers to keep an electronic log to keep track of how much time truckers spend behind the wheel. Many companies are finding that ELD was becoming an annoyance to the driver. Many are dealing with high turnover rates. Some of their driver retention rates are almost zero. So we have been able to come up with solutions that marry the ELD capability with things that will drive driver retention. 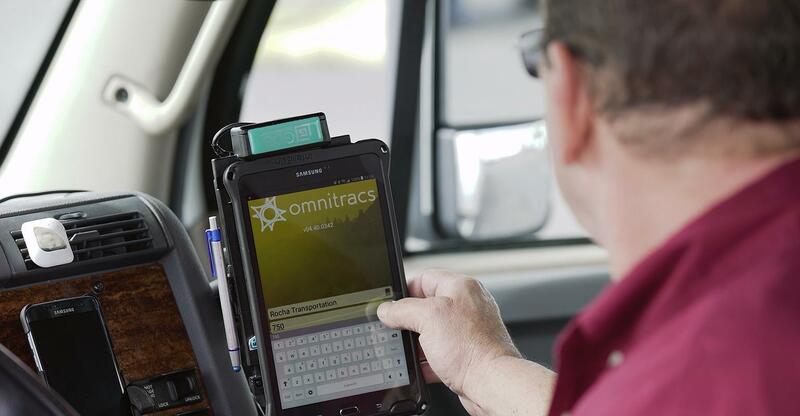 As an example, truckers can use the same tablet to meet their ELD requirement for their personal entertainment. You can do that thanks to our Knox security technology, which allows you to partition a device and let the driver’s personal life stay personal and professional data stay professional. What other changes do you see in the field of transportation? Abrams: We are starting to see sensors used in different areas of the vehicle that are tracking speed, the cargo, weight distribution and overall experiences. You can send the data directly back to the company so they can do better preventative maintenance on their tractors and their trailers and can do better load balancing and load optimization because they have better real-time data on what vehicles. They can see which trucks and going to what areas at what time and they can look at how many pallets are on each of them and figure out how to distribute freight so they can be more efficient in the overall operation of the business. How do you see IoT adoption by vertical? Abrams: Industries like retail and manufacturing that are under pressure to transform are embracing the technology. In industries like these, you are seeing a big move to wholesale transformation because those companies realize that in order to be successful in the next decade, they have no choice but to transform. What are you seeing in brick-and-mortar retail now? Abrams: It is a very interesting time for brick-and-mortar retail. 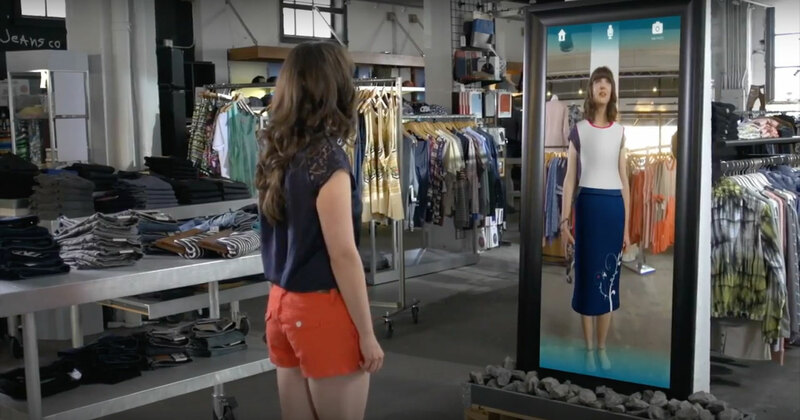 We are noticing that companies that are beginning to deploy [IoT-enabled] pop-up stores to improve the retail experience are seeing an ROI inside of three or four months. They are seeing deeper customer engagement, greater average purchase size and they are seeing improved customer loyalty — both in store and online. You are starting to see that curated pop-up environment deliver on the promise of true omnichannel retail. Can you give me a couple of more examples of innovative IoT deployments? Abrams: We are working right now on an innovative project with a tire manufacturer. The equipment to manufacture tires hasn’t changed all that much in 15 years, but they have recognized that they can bring technology to the plant floor that gives them significant savings. It used to take them a week to refit the plant floor if they were going to go from an all-season radial production to winter-tire production. They had to reconfigure and realign the devices annually annually. Now with IoT technology on that plant floor, they can make the switch in 12 hours. To make that happen took a big investment, absolutely, and they started by experimenting in one plant with it, but when they saw the savings, they are now at the point where the cost savings for the technology outfit was so great that they are kicking themselves for not doing it sooner. We are also working with a potato chip manufacturer on how can track down to the individual package level. That way, you will know when you go into a store how to rotate stock to move to the front. No pun intended: It has a ripple effect all the way back to manufacturing because as you get this data on how things are moving to the retail shelf. It starts to impact how much product you manufacture and how much raw material you purchase, etc. So they are starting to see value in that. You would never have thought about that with a 50 cent bag of potato chips. What drives that is the falling cost of sensors, whether it be it RFID tags, beacons, etc. The price is now coming down so much that the cost associated with putting them on a 50 cent product is not marginally prohibitive. What is your philosophy on how big companies can innovate? Abrams: If you look at Samsung, what keeps us nimble and focused and able to adapt is a maniacal focus on the end customer. We focus on what technology the marketplace needs but we also use our technology internally. When you go look at our manufacturing lines or our supply chain, you’ll see Samsung technology. We are using IoT and real-time data to get the right insights to know how and where to tune production, development and the supply chain. What causes us to be nimble is that backend capability married with a maniacal focus on delivering the best customer value possible. Big companies that succeed aren’t afraid to adapt based on what their customers are asking. What do you expect in IoT next year? Abrams: That’s a huge question, but one thing I expect to see is much more of a focus on what I’ll call B2B2C-type solutions. The focus [of this convergence between B2B and B2C] will be giving the end customer a better experience. Up until this point in time, a lot of IoT deployments have been focused on business process improvement. Next year, I expect to see a focus on differentiated experiences — ways to drive loyalty, topline growth and to give the end customer a unique and differentiated relationship with your brand. Another thing that I think will pop next year is voice and AI. As voice and AI become more and more capable, it will be easier for a broader part of the population to embrace technology. There is a whole set of the population out there that still isn’t comfortable typing with their thumbs or using apps. But almost everybody I know is comfortable speaking. As voice and AI become more capable, that is going to cause the next big change in expectation. 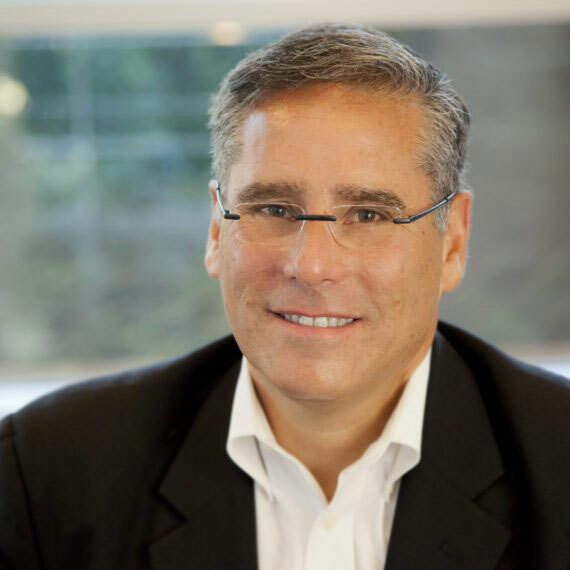 Gil Perez, SAP’s senior vice president of products and innovation and head of digital customer Initiatives, sheds light on how he sees blockchain fitting into enterprise companies’ digital transformation efforts. It can be difficult to keep cybersecurity spending on track. While underinvesting is common, so is waste. The company announced the increase in R&D spending on edge computing at its HPE Discover event in Las Vegas. Industrial IoT devices are expected to top the consumer IoT segment by 2025, according to a GSMA Intelligence report.